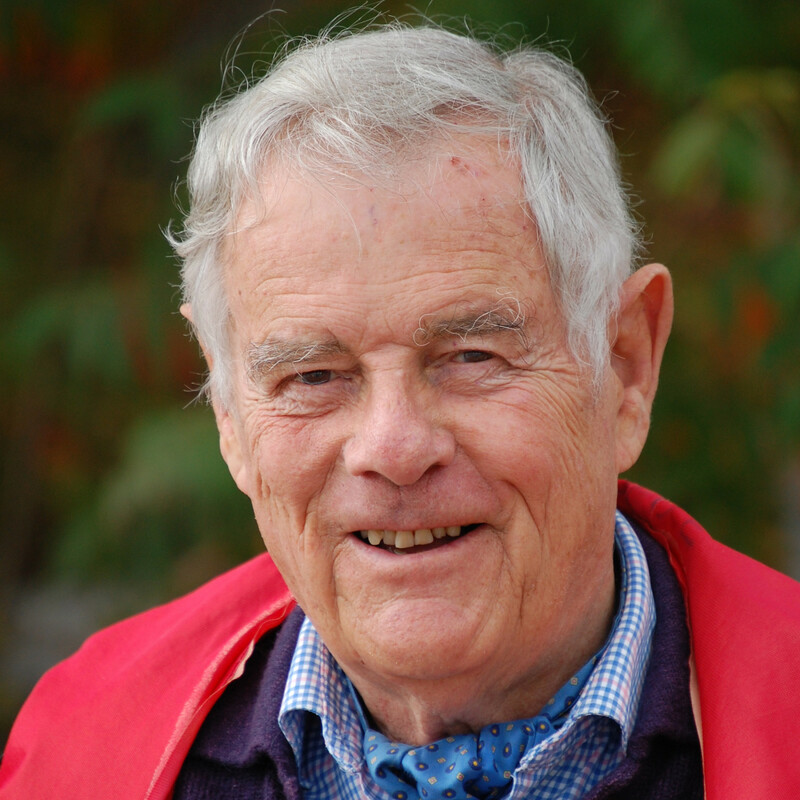 Laugh with James Bacque as he reads from his funny novel, Putting on Conrad, a social satire about the complications of mounting a play about a famous media tycoon Conrad, Lord Bilk of Cross-purposes. Bilk, confined in an American jail for fraud, instructs his broker to buy the jail. His wife, Lady Babbles arranges the decor of his cell and British P.M. Margaret Thatcher pays a courtesy visit. Putting on Conrad is a much larger send-up of the qualms of Canada’s cultural establishment, the peccadilloes of Toronto’s social elites, literary awards and the battleground of present day government and private sector arts funding. 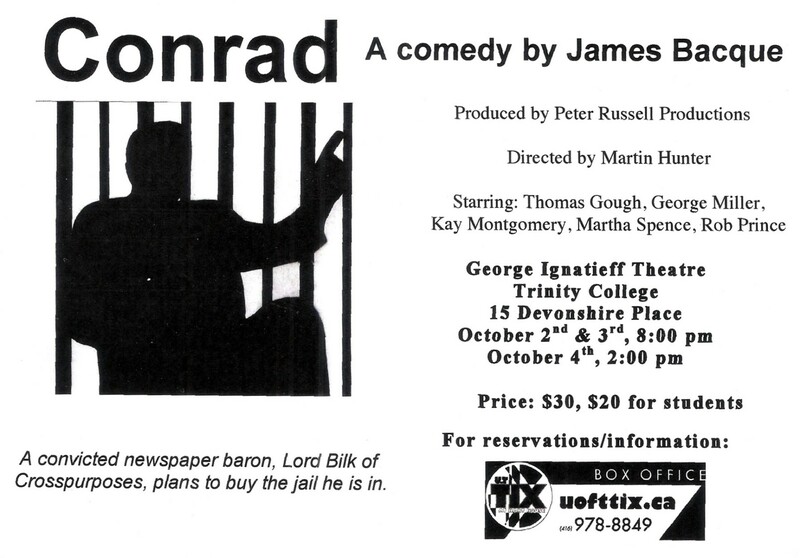 Bacque’s play Conrad was actually performed at the George Ignatieff Theatre in Toronto in October, 2009 and again, by popular demand, in January, 2010. “Jim Bacque weaves a hilarious tale with prose I wish I’d written. I defy you to read this without laughing. Like all good satire, it made me think while I tried to keep my sides from splitting.” –Terry Fallis, author of The Best-Laid Plans, winner of the Stephen Leacock Medal for Humour, 2008. “I loved Bacque’s spirited heroine Meg O’Dowd, with all her intriguing similarity to a certain famous Canadian novelist. She’s the beating heart of a satire that is witty, generous and often very funny – a much needed jeu d’esprit among the somber shades of Can Lit.” – John Bemrose, author of The Island Walkers and The Last Woman.